What’s good about the Arai CT Ram? I got the Arai CT Ram to replace my old and tired SZ Ram lll. The CT Ram has moved on from the SZ in every way - visually it is very different with the enlarged sides for added protection and the addition of a peak. The peak is great during bright winter days when the sun is low in the sky - I tip my head down a little and it’s blocked out. From the rear the lid looks very much like Arai’s full-face race helmets, and it has great ventilation through various vents and ducts that can be open and closed when needed. Visibility is key for me, and there is little if no restriction to where I can see just by moving my eyes. 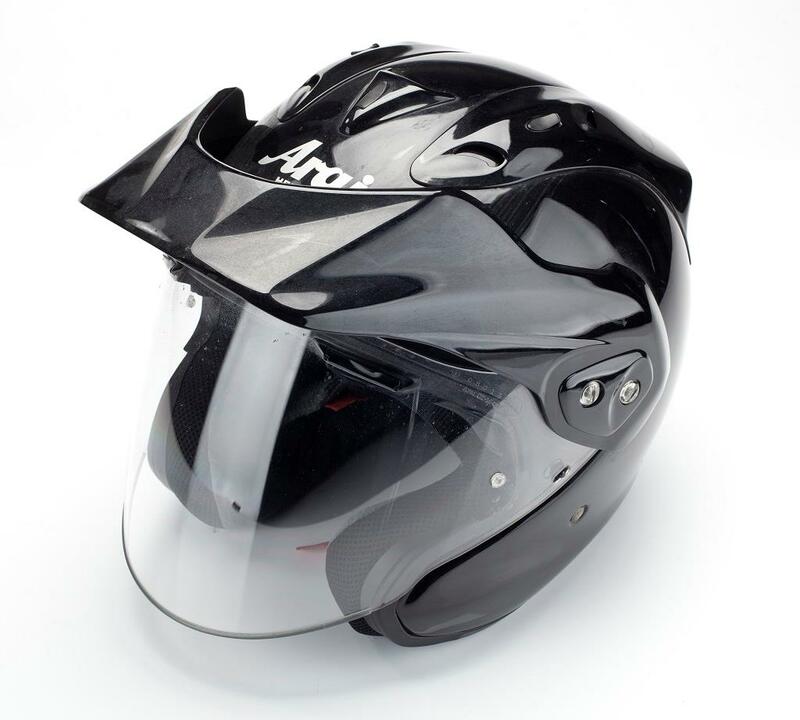 The long visor is sturdy and locks firmly into place when closed, offering similar protection from the elements to that of a full-face helmet. The ear cups are replaceable and the lining is fully removable/washable and extremely comfortable. I have worn open-face lids for years, but with the extra coverage around the cheeks the lid takes a bit of getting used to when putting it on. Finding the point of balance when holding on to the straps, then pulling it on perfectly in place, just takes a few goes. MCN show bargains: cheap leathers and boots!